Gosnell “Officially” Guilty of Murdering Innocents | askthe"Bigot"
Prosecution experts said one [baby] was nearly 30 weeks along when it was aborted, and it was so big that Gosnell allegedly joked it could “walk to the bus.” A second fetus was said to be alive for some 20 minutes before a clinic worker snipped its neck. A third was born in a toilet and was moving before another clinic employee grabbed it and severed its spinal cord, according to testimony. Baby E let out a soft whimper before Gosnell cut its neck, the jury was told; Gosnell was acquitted in that baby’s death. It will be interesting to watch the impact, if any, that this will have on abortion “doctors” across the country. 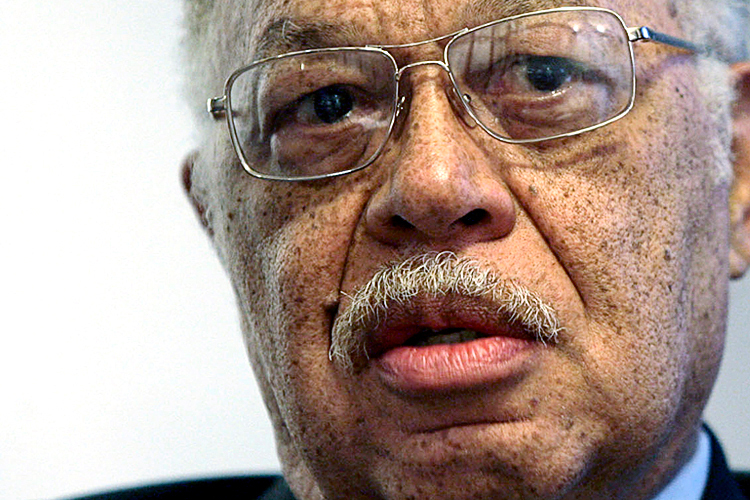 While many abortion advocates have condemned Gosnell’s actions, it hasn’t necessarily been because he murdered children. In Saporta’s eyes, the problem wasn’t that Gosnell was killing newborns. The problem was that he didn’t kill them soon enough. Now that Gosnell has been found guilty of killing infants, will our national conscience awaken to the truth that children have inalienable rights from the moment of birth? The right to their own life is certainly chief among these. Do they have other natural rights as well? Such as being known and loved by both of their parents? And will we begin to ask ourselves if we are dehumanizing the most helpless among us, the pre-born, so that we can be free of inconvenient lives? And for those of us who are pro-life, are we willing to take radical steps to encourage and genuinely support those women who find themselves in the unenviable position of taking on a two-person job (parenting) alone? I find it interesting that the NAF is condemning Gosnell, since one of their own inspectors visited his clinic while it was still in business, described it later as “one of the worst” she’d ever seen – but failed to report his abuses to anyone. Would really like to know whether the NAF has taken any disciplinary/corrective action within their own organization. And when legislation is proposed requiring more oversight of abortion clinics (even just to bring them up to the level of care generally required of medical facilities, such as informed consent and routine inspections), will the abortion lobby continue to fight those efforts as they have in the past? “At the time, the Northern Territory coroner said similar deaths had occurred elsewhere in Australia and that his counterpart in NSW had disclosed that “many terminated foetus live after they are expelled from the mother”. This apparently ho-hum fact was dealt with last year by Australia’s medico-ethical establishment when two Victorian academics published an article in the Journal of Medical Ethics advocating “after-birth abortion”. They claimed “the same reasons which justify abortion should also justify the killing of the potential person when it is at the stage of a newborn”. I remember posting that Austrian piece on “after-birth abortion” on my FB page. I asked “If a baby isn’t a human while in the womb, what magically transforms it into a human upon delivery?” There is no congruent response. Pro abortionists simply must admit that there is no difference, and that whether or not the child is “wanted” determines life or death.